A list of GSM concepts related to the localisation of mobile phones. Note that this applies specifically to GSM. For UMTS and LTE most concepts are similar, but the terminology is often different. Identifier of an operator inside a country. Identifier of a Location Area (LA) inside an operator’s network inside a country. 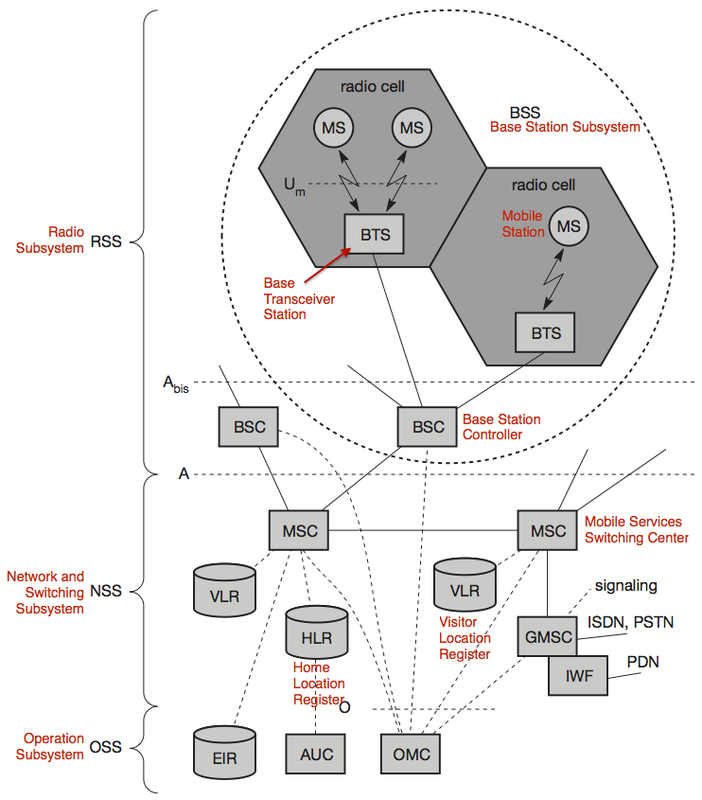 A location area consists of a number of Base Transceiver Stations (BTS). The LAC is a 16-bit number, thus there are 65536 possible location areas per operator per country. The geographical sizes of different location areas, as well as the number of BTS they contain, may be very different, based on user density, etc. Globally unique identifier of a location area. Broadcast regularly by the BTS of a location area. Identifier of a BTS within a location area. In the case of directional antennas, the CID may identify one of the two or three sectors of the antenna (see references for details). The CID is a 16-bit number (GSM) or 28-bit number (UMTS). Globally unique identifier of a BTS. The current LAC of a MS is stored in the Home Location Register (HLR) and Visitor Location Register (VLR) of the network. Localisation of a MS for a Mobile Terminated Call (MTC), that is, the delivery of a call or SMS to a MS. The network permanently knows in which location area a specific MS is, but not which BTS it is connected to. To deliver a call or SMS, the network broadcasts a request over all BTS of the corresponding location area. This is called paging. If the MS answers, the network knows the active BTS (the MS’s CID), and can establish a connection. The simplest way, which works for all three scenarios, is to take the current CID of the MS and find out the location of the corresponding BTS (see Public Cell ID Location Databases above). In order for the network operator to know the current CID, the MS has to respond to a paging request (in UMTS this can be done easily with data traffic, so that the user of the MS doesn’t notice anything). The MS itself knows its CID at any time. There are many more sophisticated methods (network-based and MS-based), see references.